Search Sacramento Homes offer you the easiest way to search for ALL the Sacramento and surrounding areas. We've made the search simple, yet effective. You can begin above or try out our interactive map page or if you know exactly what you're looking for, go to our advance search page. Our advance search system let you save and favorite any of homes you like and you'll be updated when there are any changes to these properties (price drop!). The system will also update you on any new listings that hot the market that fit your search criteria. Sacramento is a very diverse area. There are so many different pockets, neighborhood and bedroom communities -each with its own distinct feel and look. This website focuses more on those neighborhoods and bedroom communities such as Carmichael, Foothill Farms, Arden-Arcade, Elk Grove, Natomas, Folsom, Citrus Heights, Orangevale and Fair Oaks because that’s where we live and those are the areas we like (the hipsters can have mid-town as far as we're concerned). Search Sacramento Homes will help guide you through these areas (some are cities others unincorporated areas of Sacramento County) and will help you find the right area for you (if you haven't decided) and help you find (and purchase if you like) the PERFECT home for you and your family. When people from out of town ask us for suggestions on where to live my answer is always the same: the closer to the American River / Folsom Lake the better. Why? 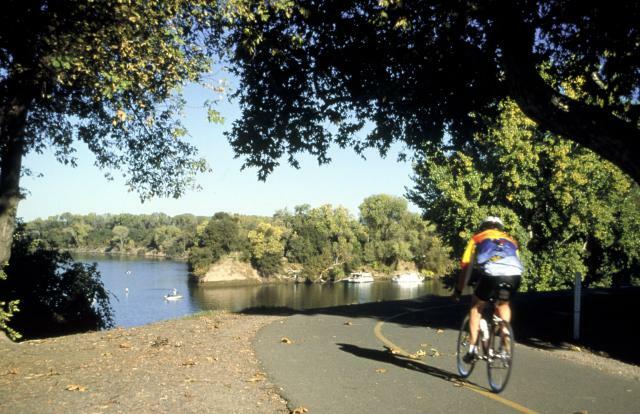 Because the JEWEL of Sacramento is the American River Parkway. As outdoorsy people we may be biased, but it really is a wonderful asset! There's nowhere else we want to be on a 100 degree summer day. Plus the Parkway features a host of activities like walking, hiking, biking, rafting etc. and is a great place to take kids. Near the River are very high end homes, however surrounding those homes are generally very nice neighborhoods with more modestly priced homes and good schools. If you want some direction of what Sacramento Community might be a good fit for you. Just give us a call/text and 916-606-7772 and we'll be happy to help! Listing courtesy of Re/Max Gold El Dorado Hills. Listing courtesy of Dunnigan, Realtors. Listing courtesy of Capitol City Real Estate. Listing courtesy of Keller Williams Realty Edh. 16 Kitchen & Bathroom Improvements to Sell Your House for More!